The Australian Agricultural College Corporation (AACC) delivers the best possible training for rural industry, rural people and local communities. All Breeds Dog Training provide training programs for all dog breeds. 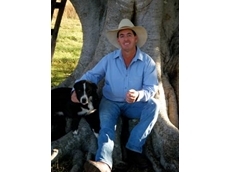 16/11/09 - When owning working dogs or sheep dogs it is important to know how to work with the ages and stages of the dogs’ growth, a process made easy by sheep dog training from Heal with Ease. 07/07/08 - The premium dual series from Animal Training Systems includes three models ranging from 130 metre to 500 metre dimensions. 04/07/08 - Smart training products for pet dogs from Animal Training Systems include the premium series, professional series, Sportrainer series, bark control products and radio fences. 03/07/08 - Animal Training Systems offers electronic training systems that are used to train dogs.